I always look forward to books authored by L.P. Dover. Her writing checks all of the boxes. It has swoon worthy alpha males with big hearts, lovable heroines you cheer for an a well developed exciting plot. 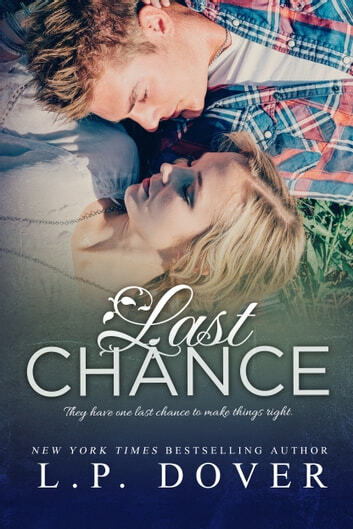 This second chance romance is no exception! 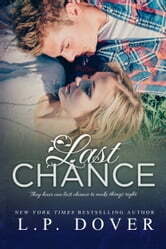 Second chance romances are one of my favorites and this one includes a love triangle (without cheating). It has twists and turns with characters we have met in some of the author's other books. Luke and Lara had one hot night together and Luke got scared. Lara took it as him returning to his flavor of the week ways. Enter Grayson who already loved her madly. He promised to love her forever. Does Lara really love him or is he just safe and comfortable? Luke wants Lara back and a forever with her. When he gets the chance tragedy strikes and the slate is wiped clean. Who will win Lara's heart? Lies, secrets and deception abound. Who is the good guy and who is the bad one? Is everyone always what they seem or what they want you to see? One click now and emerge yourself in another gripping read by L.P. Dover! Wasn't sure about this but as I got more into it it was an ok read. There was quite a bit going on and as part of a series it's a good read. > > Judging a Book by it's Cover < < Initial thought was that Luke does not look like I'd envisioned him to throughout the series, but Lara does. Sweet cover, strong title font. Did not bother to read synopsis as I'd wanted to read this couple's story for several books now! > > Looking Deeper < < LAST CHANCE includes the prequel, ONE TASTE, which takes up the first 15%. It a short insight into the before and shortly after to Lara and Luke's one night stand. LAST CHANCE picks up at "One Year Later". Lara and Luke's story was a long time in coming, you'd get hints and pieces of it, more as a spectator, in previous books, but nothing was too forth-coming until now. I was so glad to finally see these two get their chance to have their story told. In previous books, Luke was seen as a kind of shady character, one that you did not know if you were supposed to like or not. LAST CHANCE was his redemption: 100% so. Lara was strong and smart, independent and sassy. She was a very enjoyable lead female. It was nice to see a few of the previous characters, whereas one character... while I guessed at the bigger underhanded move, the depth of the betrayals was shocking. The plot had plenty dynamics and a ton of dimension. Luke was given one last chance, but before he could really grab hold with both hands, a turn of events nearly ripped it right from him. Gah, the feels over this one! The flow was smooth as hot honey. Dialogue was believable, interactions felt natural. There were plenty of conflicts keeping them busy and enough heartache along the way to choke oneself on. All issues are resolved. Some predictability, but no blatantly so. While there was an epilogue, the ending only provides an implied HEA. Overall, it was everything I could do NOT to break into a happy dance and *squee* several times during this one... well-written story for a well-deserving couple. . Rating: [R] ~ Score: 4.5 ~ Stars: 4.5, rounding up for the sheer Luke-love I'm feeling right now! ========================== Purchased to read and review before sinking into INTENDED FOR BRISTOL. Not provided by a promoter, author, or publisher & I was under no obligation to write any words of opinion, nor was I compensated in any way. 4.5 Stars This is the final book in the second chances series. You don't have to have read the previous books to enjoy Last Chance. This book is quite a fast paced read, it's well written and the story line is both entertaining and engaging. The hero of this book unlike the previous books in the series is not a football star. Luke is a motor-cross star, who is also a bad boy and a player. Lara is a sassy and strong and her heart is a little battered and bruised. Hurt by Luke's actions after a one night stand, Lara turns to another man. After an accident affects Lara's memory she has no recollections of the past five years. She has no prejudices, regrets, and follows her heart to find love and happiness. This book is an emotional roller coaster and the depth of feelings that Lara feels, just jump off the page as you read. I look forward to reading more from L.P Dover in the future. LP Dover has done it yet again, ripped our hearts to the core only to rebuild it back together!" The things I love about this series is that each book can be read standalone with different main characters but all from a group of friends. I also love how each book features some kind of diabolical turn of events typically based on jealousy this only increases my curiosity to keep turning the pages. I would highly recommend each and every book in this series along with her other books. L.P. Dover is truly a talented author. I received a copy in exchange for a honest and unbiased reviews.